The second half of the 19th century witnessed a frenzy of church building in Ireland. In Cobh, County Cork for example, the construction of a vast new cathedral designed by Edward Pugin and George Ashlin began in 1867. That building, like the majority of others, was commissioned by the Roman Catholic church intent in the aftermath of penal reform to make its mark across the country. By contrast the Anglican Church of Ireland, which until around 1830 had engaged in a similar ferment of church building, primarily (although not exclusively) funded by the Board of First Fruits, was now in retreat. The Irish Church Act of 1869 (it came into force two years later) broke a long-standing link between the Anglican church and the state, and repealed legislation requiring all citizens to pay tithes to the Church of Ireland. As a result, the Church of Ireland’s ability to engage in construction or even restoration of property severely contracted. All the more interesting therefore to see that not far from Cobh and during the same decade as work on its cathedral began a similarly ambitious project was initiated by the Irish Anglican community: the rebuilding of St Fin Barre’s Cathedral in the centre of Cork city. The site on which it stands is believed to have been a place of worship since a monastery was founded here in the seventh century and named after the local patron saint Fionnbarr (meaning ‘fair headed’). The city of Cork grew up around this religious settlement and in turn the monastic church became the city’s cathedral. This mediaeval structure was damaged during the Siege of Cork in 1690 and largely replaced in the following century: the most important extant feature of that much earlier building is the Dean’s Gate: now inserted into the southern boundary of the Cathedral grounds’ wall it was originally an archway in the west portico of the bell tower. Only a couple of photographs taken shortly before its demolition give an idea of the appearance of Cork’s 18th century cathedral. Other than retaining the ancient tower at the west end, it looks to have been not unlike places of worship erected elsewhere in Ireland during the same era, such as the Anglican cathedrals then built in Cashel, County Tipperary and Waterford city. Commentators today, perhaps dazzled by its successor, tend to be unfairly disparaging about the old St Fin Barre’s since it probably had ample architectural merit, given some of the cultural pedigree of the bishops involved. Richard Caulfield’s Annals of St Fin Barre’s published in 1871 gathered together all source material on the building’s history and reported that in November 1733 ‘Whereas it appears to the Dean and Chapter that the Cathedral is in very bad repair, and in great danger of falling, & that an application be made to the Bishop by the Dean, Archdeacon, and Oeconomus [the bursar], that his Lordship would be pleased to give his advice about pulling down and re-building same Cathedral…and that the Dean, &c., should indemnify the Bishop.’ In September of the following year ‘The Cathedral was ordered to be taken down, the Oeconomus to employ workmen, and the Bishop to be requested to direct such a plan as he may think proper.’ Soon afterwards Robert Clayton was appointed bishop of the diocese and it was during his term, and that of his successor, that the new cathedral was built. Clayton, who would later have troubles over his religious beliefs (at the time of his death in 1758 he was facing charges of heresy having publicly espoused the doctrines of Arianism), was a man of considerable taste: his splendid Dublin townhouse on the south side of St Stephen’s Green was designed for him in the mid-1730s by Richard Castle (it is now part of Iveagh House). One therefore imagines that the cathedral works over which he presided in Cork would have displayed equal taste, even if in this instance we do not know who was the architect responsible. Yet work on the new St Fin Barre’s proceeded slowly, in part due to shortage of funds. In March 1737, for example, it was noted ‘The Dean and Archdeacon to wait on the Bishop to represent the state of the Cathedral, that all their money has been expended, and to seek his Lordship’s advice’ and later that same year, ‘The Dean and Chapter, not having sufficient means to finish the Cathedral, make a lease to John Supple of the great and small tytles of the Oeconomy of the Cathedral, for four years, at a yearly rent of £108 15s. ; and as it would greatly retard the finishing of the Church if the Dean and Chapter were to wait till the rents became payable, &c., John Supple has advanced the four years’ rent in the whole sum of £435.’ Ultimately it appears the job had still not been finished by the time Clayton moved on to the diocese of Clogher in 1745, his place being taken by a local cleric, Jemmett Browne. 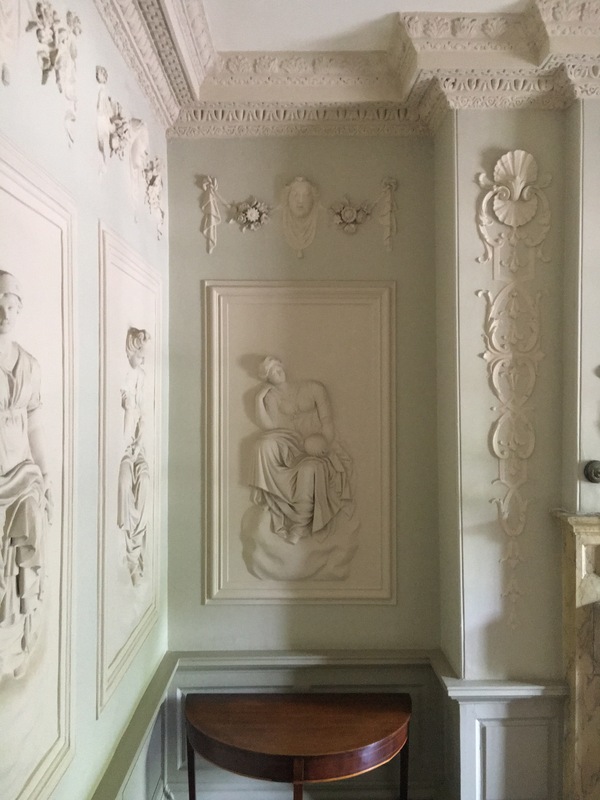 He was likewise interested in architecture, reconfiguring his family house outside the city at Riverstown where the Ticinese sibling stuccodores Paolo and Filippo Lafranchini are credited with decorating the interior. A photograph of the chancel arch of 18th century St Fin Barre’s shows its walls to have been covered in elaborate rococo plasterwork on either side of a large Venetian window and this has been attributed by Joseph McDonnell to the same Lafranchini brothers. All of which suggests that the cathedral must have had a rather fine interior. Time passes and tastes change, and the following century it was again resolved to demolish St Fin Barre’s. One suspects that this decision, officially taken in 1862, was due to the arrival that same year of a new bishop, John Gregg, appointed to the position on the recommendation of his admirer and then Lord Lieutenant, the seventh Earl of Carlisle. Evidently keen to leave a mark on his diocese, the strong-minded Gregg declared that the building he had inherited ought to be taken down and replaced with ‘a structure more worthy of the name, Cork Cathedral.’ One suspects the existing St Fin Barre’s was rather too secular in style to suit the Gregg’s brand of evangelical Christianity. Accordingly an international competition was held for an architect to design a new cathedral. This attracted sixty-eight entrants, William Burges being declared the winner, even though – as some of the losers pointed out – his proposal excluded from the prescribed budget of £15,000 the monies needed to build towers, spire and sculpture. The eventual cost would climb to more than £100,000 (on the other hand, reverting back to the Roman Catholic cathedral in Cobh, its original construction budget of £25,000 overran to a final total of £235,000). Moreover Burges declared himself ‘unconcerned’ over any difference between intended and ultimate cost of building his vision. In the future, he informed Bishop Gregg, ‘the elements of time and cost being forgotten, the result only will be looked at. The great questions will then be, first, is this work beautiful and, secondly, have those to whom it was entrusted, done it with all their heart and all their ability.’ These sentiments were not perhaps altogether appreciated by the people of Cork who, in the aftermath of the Church of Ireland’s disestablishment, had to find the funds for St Fin Barre’s. But Burges’ background explains his own indifference to budgetary matters: born in London in 1827, he inherited a fortune from his engineer father and therefore never had to worry about earning a living. After years of travel and working in the offices of both Edward Blore and Matthew Digby Wyatt, he set up his own practice in 1856. Thereafter despite providing designs for various competitions he was aged thirty-five before he finally won his first major commission: St Fin Barre’s. His proposal involved the total demolition of the building then on the site, including the mediaeval west tower, because Burges was an architectural ideologue whose preferred style – Early French Gothic – trumped all others: ‘I was brought up in the thirteenth century belief,’ he once wrote, ‘and in that belief I intend to die.’ No qualms here about clearing away anything that might impede the execution of his vision. Both Burges and Bishop Gregg died before work on St Fin Barre’s had been completed, the former in 1881, the latter three years earlier but since he was succeeded in the diocese by his son Robert Gregg, the work continued seamlessly. Thus the cathedral as we see it today is essentially the expression of these two men’s aesthetic and religious beliefs: Burges’ intentions are understood but the importance of Gregg in the development of St Fin Barre’s has been less discussed. It is not difficult to understand why this should be the case, as Burges – who in today’s parlance might be reckoned a control freak – was responsible for the design of every part of the building: nothing was permitted to escape his attention and approval. He drew the designs for all of St Fin Barre’s sculptures inside and out, for the majority of its seventy-four stained glass windows, the mosaic pavement in the chancel, the pulpit, altar and bishop’s throne. An indication of his personal commitment was Burges’ gift of the Resurrection Angel made of copper covered in gold leaf that crowns the sanctuary roof at the east end. 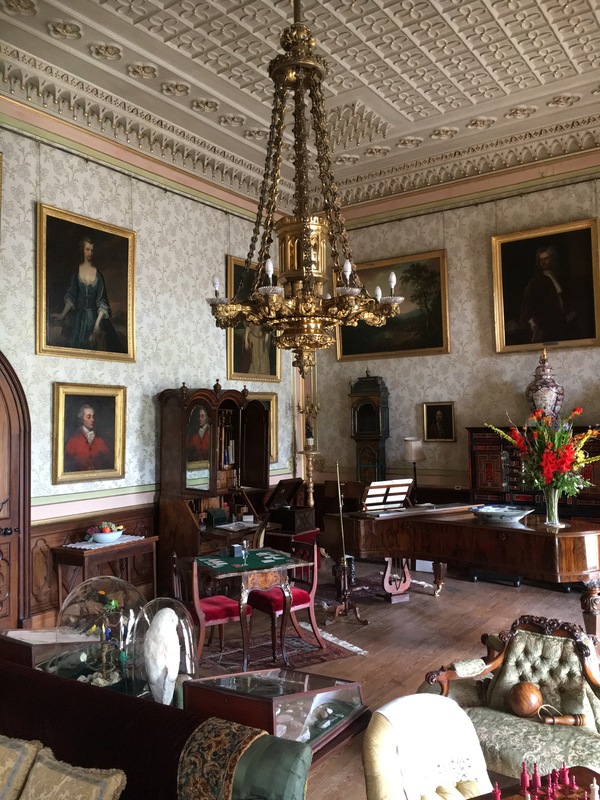 Given how elaborate the decorative scheme is, and the increasing demands of his work schedule elsewhere notably with the third Marquess of Bute in Cardiff, no wonder Burges died at the age of 53. Although the cathedral is relatively small (it was intended to hold a congregation of 700 souls, no more than the average for a London parish), it is smothered in embellishment. The exterior is built of Cork limestone, the interior of Bath stone and the walls are lined with red Cork marble. As was the case with mediaeval cathedrals, internally and externally St Fin Barre’s is intended to be ‘read’ by the faithful as the building narrates the story of Christianity. For example, the west rose window illustrates the story of creation according to the book of Genesis, while the windows on either side of the nave feature tales from the Old Testament. Those in the ambulatory deal with the life of Christ. While the cathedral was consecrated in 1870, its decorative work in accordance with Burges’ intentions was only finished in the mid-1930s. In this respect, it bears similarities with the slow construction of such buildings in the Middle Ages, and indeed with that of its 18th century predecessor. Today St Fin Barre’s is rightly admired as one of the finest and most complete expressions of Gothic Revival architecture in these islands. It also represents a final flourish on the part of the Anglican church in Ireland before the onset of a long decline. The photograph above is a detail of a half-scale plaster model of a sculpture above the rose window on the inside of St Fin Barre’s. Depicting an architect at work, it is believed to represent William Burges.